If you want to make sure that your pet’s coat not only looks healthy but IS actually healthy, then we have some dog grooming tips to help. Run your fingers carefully through your dog’s coat; check for rashes, foreign bodies such as burrs and unwanted visitors like fleas or ticks. Talk to your vet about de-fleaing and worming options that are right for your dog. Leisurely strolls through grassy fields and paths in the countryside are the perfect way to spend a long, summer’s evening. Just be sure that no grass seeds or thorns have become embedded in paws on your wanders as they can lead to swelling and infection. Likewise, walking your dog on pavements in towns and cities can mean encountering foreign and dangerous objects that can pierce or tear paw pads. Wherever you choose to explore, a quick check when you’re back home will alert you to any issues that could lead to more serious problems if left undiscovered. Long hair that becomes matted causes discomfort, soreness and infection. Monitor areas, that are most likely to be affected, such as behind the ears, armpits and in between paws. A good brush once a week will prevent loose and live hair tangling to develop mats. 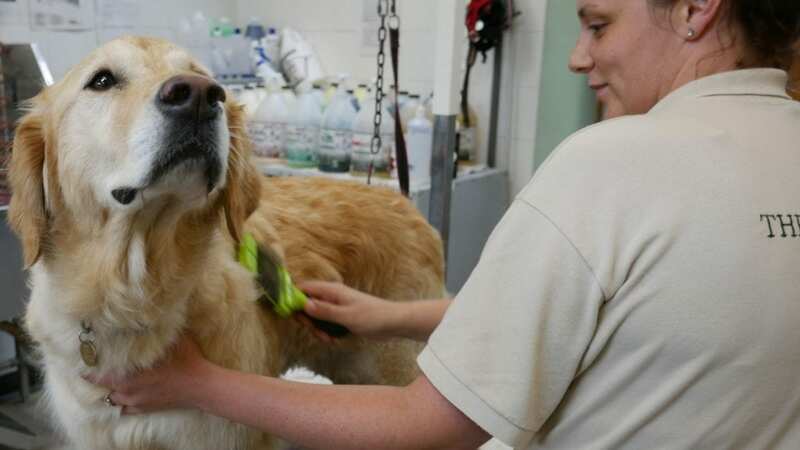 Short-haired dogs should be properly groomed frequently and, during the summer months, longer coats should be kept short, particularly around the legs and paws to keep your dog feeling comfortable. As gross as it may be, inspecting your dog’s ears regularly for dark-coloured debris, redness or strong smells will detect problems before they start. For in-depth guidance on how to safely clean your dog’s ears please refer to the “Care” section in our Dog Trainer In Your Pocket app. Dogs’ eyes can be very sensitive and it’s vital that you make sure they are in good health. Carefully check for squinting, cloudiness or redness and be wary of any continued rubbing at the eyes. If you are in any doubt, it’s best to seek the advice of your vet. Additionally, trim any hair covering your dog’s eyes as keeping this short will make them less susceptible to conjunctivitis and irritation.